Used Ford Fiesta Review - 2017-present | What Car? Praise has often been heaped on the Ford Fiesta, and for good reasons. It was, and continues to be, fun to drive, well equipped and blessed with a fine choice of engines. The small car class is a hotly contested one, and this current generation car has been given that little bit of extra polish to rival the refinement levels of its arch nemesis, the Volkswagen Polo. It also faces stiff competition from cars such as the sporty Seat Ibiza, evergreen Vauxhall Corsa and the good value Skoda Fabia. Like its rivals, the Fiesta has a wide range of engines. The petrol range consists of an underpowered 1.1-litre petrol to a fantastic turbocharged 1.0-litre three-cylinder Ecoboost in various states of tune. There’s also a 1.5-litre diesel, again, in a variety of different power outputs. 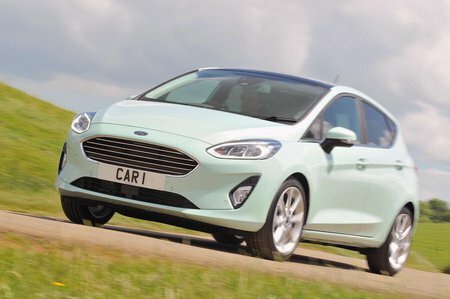 There’s plenty of equipment given as standard on Zetec variants with air con, alloy wheels, LED daytime running lights, fog lights and a heated windscreen. 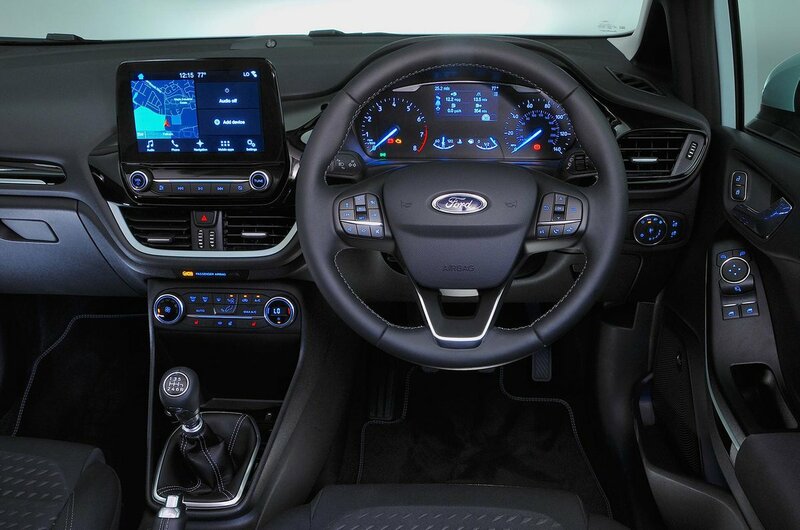 You also get a 6.5in touchscreen infotainment system from Zetec specification and above which includes Apple CarPlay and Android Auto. The system could be upgraded to a larger 8.0in system for a small fee, so it’s worth looking out for that. Or, you could seek out a Zetec B&O Play version which has the bigger screen along with a 10-speaker 675-watt sound system. One of the best things about the Fiesta is the way it drives because few cars are more enjoyable to chuck around on a twisty B-road as this small Ford. It really could give some more expensive sports cars a very good run for their money. The steering is precise and well weighted, grip is in plentiful supply and it hangs on gamely even if you pile into a corner a little too quickly. And, to top it all off, the ride is beautifully judged. It has a real knack for dealing with speed bumps and potholes at low speeds just as well as it deals with motorway expansion joints at the national limit. Suspension noise is well suppressed, giving the Fiesta a sense of solidity and big car refinement. Inside, as far as fit and finish go, the bits you touch regularly all feel fairly upmarket by the standards of the class, and the Fiesta has soft-touch plastic on parts of its dashboard. You won’t find any of that in an Ibiza or a Skoda Fabia. However, the Fiesta’s interior doesn’t feel quite as solidly screwed together as the Ibiza’s or Polo's. You’ll also notice some unappealingly textured plastics lower down on the Fiesta’s dashboard. Space-wise, the Fiesta has plenty of room up front. The driving position is set fairly high but there's adjustment in the steering wheel and the seat, so most should be comfortable. Rear seat space is a little more cramped, though there's room for two and three at a pinch, or for shorter journeys. It's fair to say that one or two rivals offer more rear leg room, however, notably the Seat Ibiza. Most models have a backrest that folds down 60/40, and the boot is of a good size and relatively easy to access over the loading lip. Fold the rear seats down flat and there is a slight step in the floor, but there is an optional height-adjustable boot floor that irons out some of that problem on its highest setting.